Paul Francis Fantaskey, 67, of Williamsport, passed away peacefully at The Gatehouse on Wednesday, April 18, 2018, to start his eternal life with his Lord. Paul was born in Williamsport on April 17, 1951, a son of Charles E. and Eileen E. (Maloney) Fantaskey. 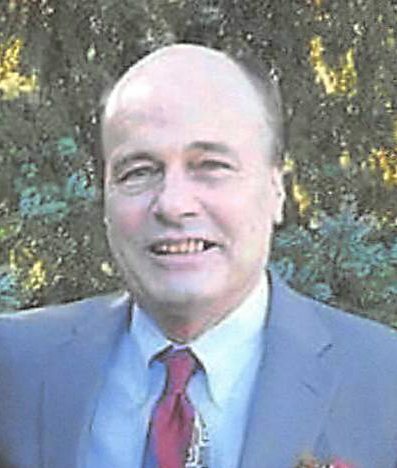 He had attended St. Joseph’s High School and was a graduate of Williamsport High School, Paul had a long career in banking. Very much an outdoorsman, Paul enjoyed, golfing, fishing, skiing, camping and was passionate about watching his son play baseball. Surviving are his son, Alec Paul Fantaskey, of Williamsport; step daughters, Heather (Marcus) Harris, of Williamsport and Courtney (Brian) Deppen, of Bethlehem; granddaughters, Jaelyn Harris and Ada Deppen; eight siblings, Julia Bennett, of Punta Gorda, Fla., Ann Landro, of Henryville, Mary (John) White, of Warrensville, Charles (Pam) Fantaskey, of Wilkes-Barre, Jean (Ed) Plocinski, of Renfrew, Joan McFadden, of Williamsport, John (Carol) Fantaskey, of State College, Kathryn Fantaskey, of State College; and many nieces, nephews, great nieces, great nephews and many faithful and loving friends. He was preceded in death by his parents, his wife, the former Cindy Lou Shearer; and brothers-in-law, Jack Bennett and Steve McFadden. The family will receive family and friends at Lycoming Centre Presbyterian Church on Sunday from 4 to 5 p.m. A memorial service to celebrate Paul’s life will be held from 5 to 6 p.m. at the church. In lieu of flowers the family respectfully suggests memorial contributions in Paul’s name may be made to, Lycoming Centre Presbyterian Church, 656 West Creek Road, Cogan Station, PA 17728 or to Susquehanna Foundation for the benefit of the Gatehouse, 1001 Grampian Blvd., Williamsport, PA 17701. To share a fond memory or sign a register book please visit, www.crousefuneralhome.com.